I'm gonna pick on the Ripple in this post, but it's nothing personal, it's just for illustration purposes. 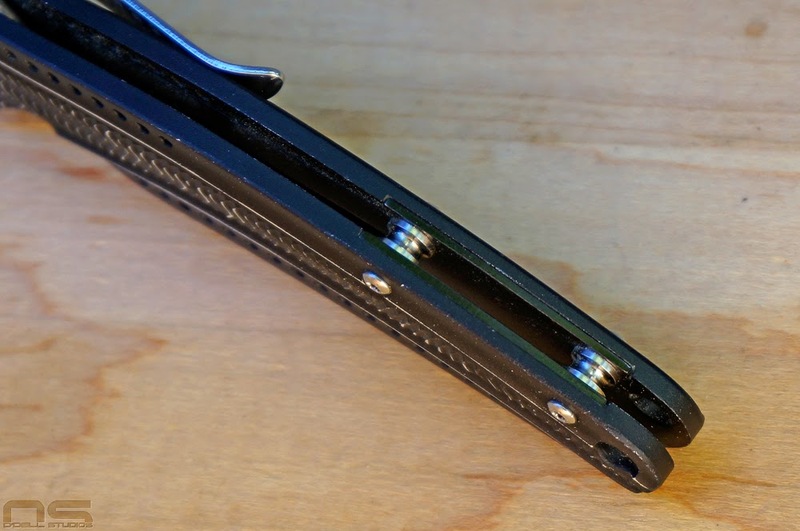 For me, but maybe not for a lot of other people, the CRKT Ripple is an example of doing so much right that if something is wrong, it hurts a lot more than it would on a less impressive design. So the Ripple is old news, and I've written about mine in the past, AND it's very popular. 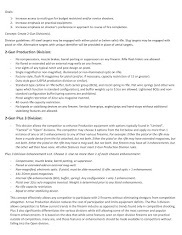 What I want to do is break it down into its individual components and talk about my disappointment with virtually all production knives available today, and in particular, knives under $100. I am disappointed. I can't find a single knife I want to buy with excitement. I probably am impossible to please - to the point where I have seriously considered just making my own. Buck Spitfire - successful execution of features and design. First I think I should talk about my personal guidelines for value. Because, the Ripple represents an amazing value in design, more so than materials, and I believe that is an important distinction. Exotic and semi-exotic materials, for me personally, add little to no meaningful value to a knife that gets used. Titanium is widely used, widely held to be a high quality material, and cherished, apparently, by knife owners. To me, it's expensive for nothing more than the sake of being expensive - a solution to a problem that doesn't exist. There are no meaningful strength or weight advantages involved with titanium that haven't been matched or exceeded with far less expensive materials. Additionally, titanium can be anodized and yet, we rarely see production knives offered with interesting colored accents beyond a few basics. Titanium hasn't become common place among sub $100 production knives like aluminum, and while aluminum can be anodized, the knife world is still not particularly colorful. 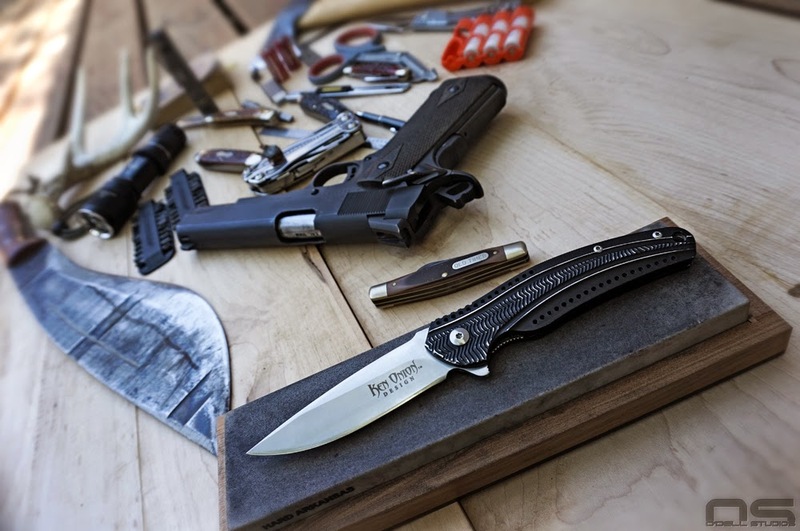 Exotic materials are fine, but they belong on more expensive knives and when production manufacturers go chasing them, we pay the price in design. So where does design value come in and how does the Ripple represent it? Just like exotic materials, manufacturers also chase exotic designs, and when that happens we pay the price in materials, and design both. How do we pay the price in design when a brand uses a well known knife designer? The designs have no practical value, they only have appearance and in fact, form often impedes function where knives are concerned. Being a car enthusiast, I have to make an automotive metaphor or something is seriously wrong. You can take two of virtually any car, even the most mundane, and apply quality craftsmanship, materials and details to one of them to make it far and away better looking, maybe even better to drive, but without a doubt a car can be dressed up from good to great without significant modification. But, under it all, the other car is the same car, same body panels, shape, overall design. Craftsmanship and materials are the same things used to make an Aston Martin, or Ferrari, but beautiful, well made cars aren't automatically useful in ways that a comfortable sedan is. The CRKT Ripple manages to give us some high-end, functional design in an inexpensive package by utilizing practical materials. Aston Martin design, sedan functionality, practical materials. Let's start with the most obvious, the ball bearing pivot, because it illustrates the idea here. I don't want to get into whether it's practical or not, the point is that for a low cost knife, it's there and it is nice. This is essentially a list of features, that are individually value adding, but don't necessarily make a good knife. -Aesthetic design. It's attractive looking. -Functional design. It is a useful knife. -Rounded blade spine which is also polished. -Aluminum version with inset steel liner. It adds complexity to manufacture. Can be anodized. -Steel version frame lock. Still comes in colors even though it can't be anodized. -Well executed flipper and associated detent. -Hidden, internal blade stop pin. I like that the stop pin holes aren't fully through the handles. Rounded, polished blade spine and jimping details. That's a pretty long list, to include features that aren't especially common in the Ripple's price range. In fact, I would say that we rarely get all this stuff in knives at this price and I would like to see a lot more of it. The design is functional, attractive and practical. Like the sedan or the sports car, they simply have different purposes in life and knives are no different. The Ripple manages to strike a good balance. At its heart, the Ripple is truly a simple, even classic design, but dressed up, like the car metaphor. The rounded blade spine, for instance, is attractive yes, but in my opinion, a largely overlooked functional feature of a knife. In two handed cutting, pressing on the spine is most comfortable when it's smooth and round. If I were making knives, a rounded spine would be a standard, even mandatory feature. But, that doesn't mean it's perfect. The bottom line is that the pocket clip on the Ripple is horrible. It violates two of my principles of design. It is ugly and looks like an afterthought, and functionally is annoying. I feel the clip in my hand when I use the knife, in fact it's almost pointed at the end so it can really dig in. Fortunately I don't really full-on fist grip a pocket knife for extended periods of time. I won't criticize it for being tip-down only, but let's face it, from a business perspective, it should have had options for tip-up. 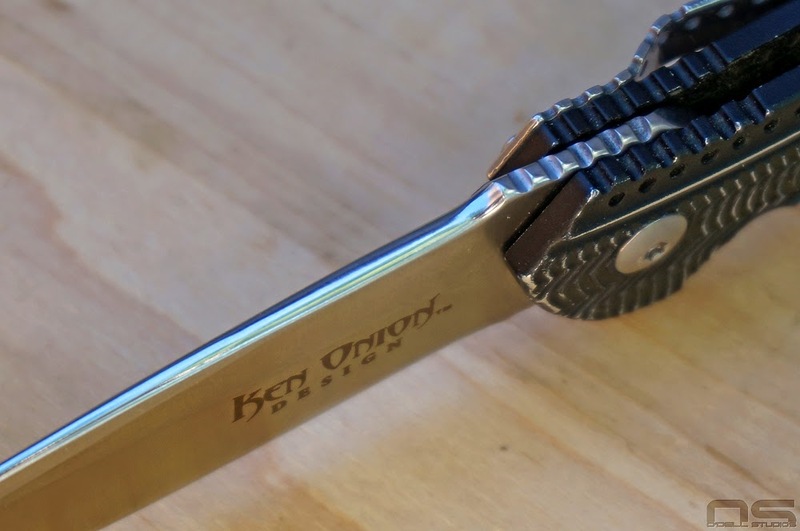 But in this case, because of the way they (or Ken Onion) just sort of forced the pocket clip into the design, it doesn't work well in the pocket. The flipper is actually exposed and because the spine of the blade now faces into a wide open pocket it can snag and open. Luckily the strong blade detent mostly prevents issues, but they don't stop there. 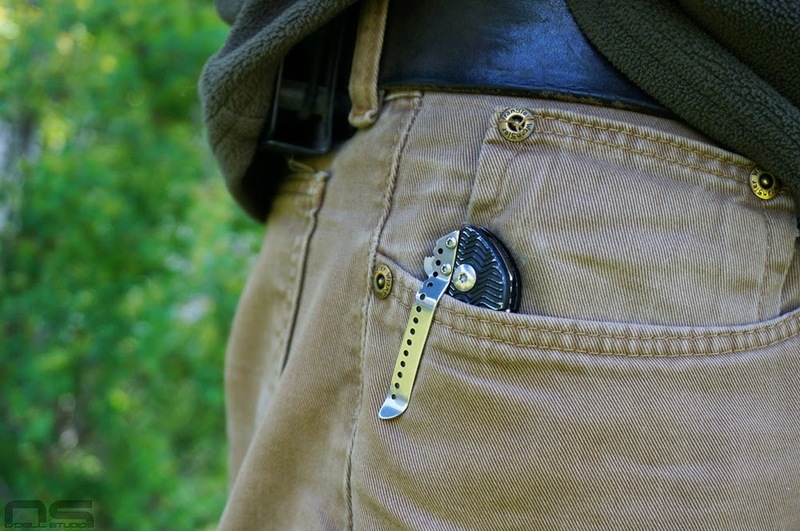 I don't personally see the point in deep carry pocket clips, but I do find a problem with having too much solid metallic stuff sticking out of my pocket banging and snagging on things. I can't help but wonder if the pocket clip is tip-down less out of purposeful design than necessity. The pointless lanyard hole wastes all of the real estate at the rear of the handles, and then having an internal stop pin forces the clip to be shoved off to one side. 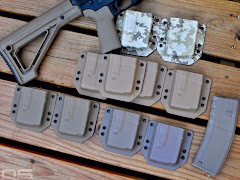 Basically, my opinion is, even with a known designer, they couldn't overcome the pocket clip problems that arose from the rest of the design, leaving it muddled in however they could get it to fit. The solution of course is simple. Lose the lanyard hole, increase the size of the nested liner at the back end so that it can have threads tapped and design a pocket clip that looks like it belongs. The Ripple pattern might have to be altered with a flat area on both sides (for left or right carry) but that could easily be made to look like part of the design. Fix the clip, sell more Ripples. It's that simple to me. 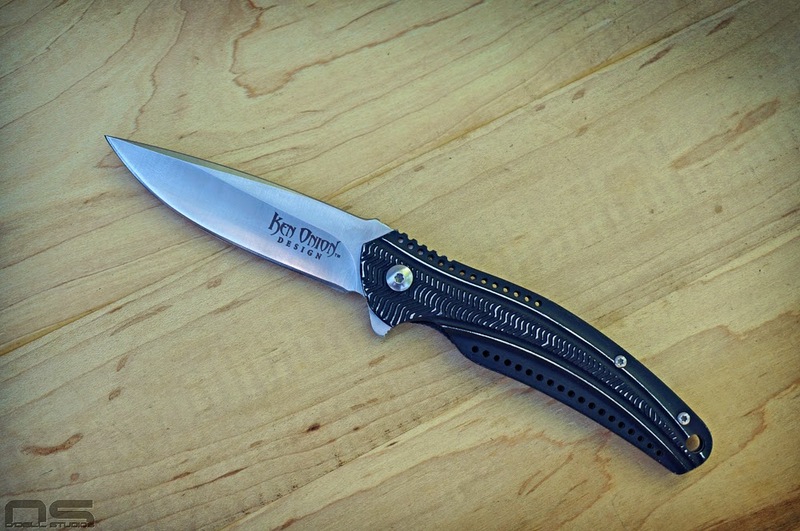 I would buy the steel frame lock Ripple, with a steel upgrade, if it weren't for the pocket clip. 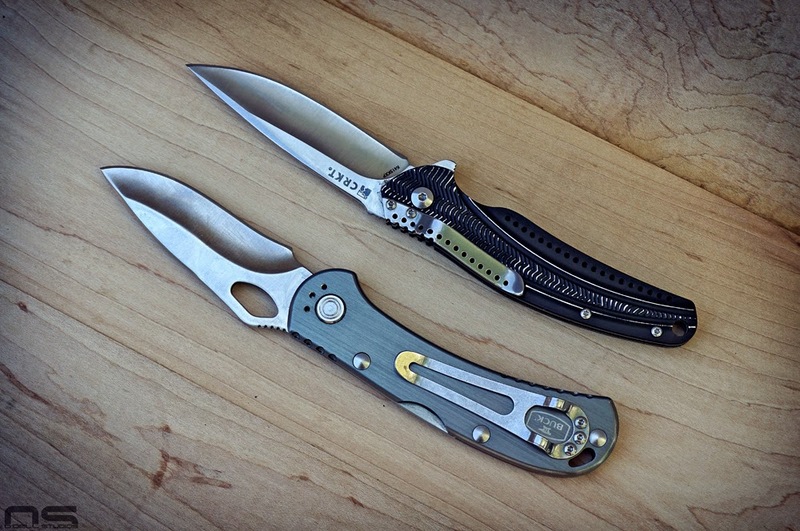 Chasing all these features and spiffy design ultimately, and all too frequently, results in a knife that just doesn't generate any excitement for me. And, I believe it also prevents greater success for the brand. While the knife may be successful for them, they are missing out on that next level where variants could be produced more often or much sooner. 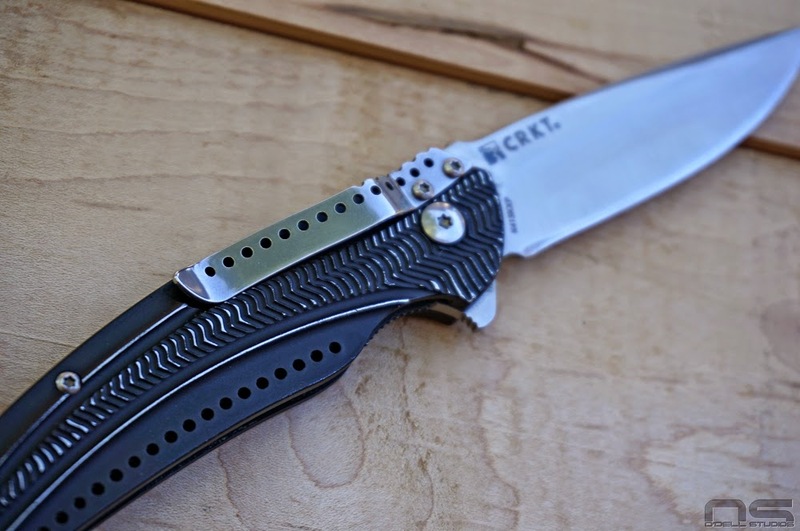 CRKT could step into a wider range of variants if the Ripple were selling better now, and the really deep product lines, full of boring designs that will likely get discontinued, would no longer be necessary. Rather than designs destined to fail, I would focus on improving the successful ones instead. Tip-down, with a little too much knife sticking out of the pocket, including the flipper. Nice pillars, but closeups show that the finish isn't spectacular on the aluminum handles. You can also see the liner and where it doesn't extend into the furthest rear where the lanyard hole is, and where the pocket clip should be.